I had been looking forward to this race! 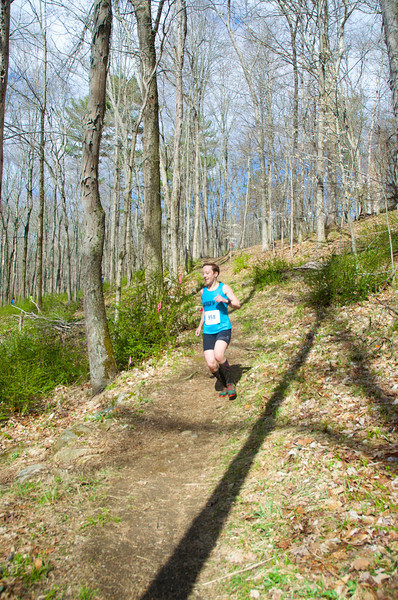 When I decided to race the Spring Dual I was thinking it was short enough to not affect my performance at this prestigious race on the following day, but as the weekend approached the nerves were building. 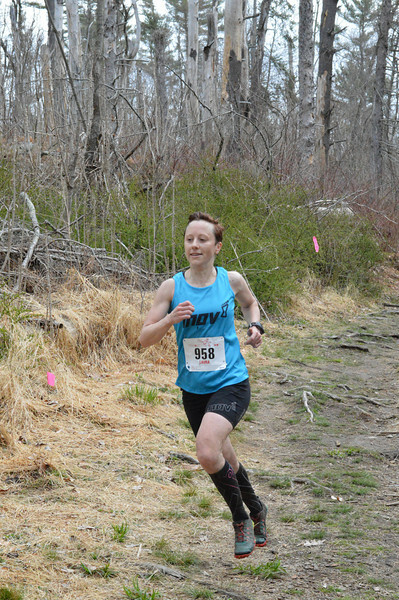 I was invited to race Leatherman’s Loop by a friend of a friend and I did not want to disappoint. 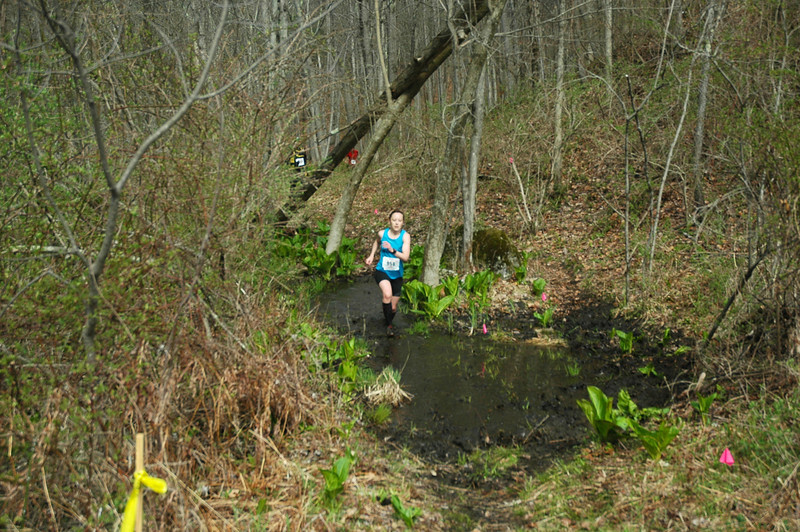 Luckily I had no soreness from the prior day’s race – legs were just a little tired. 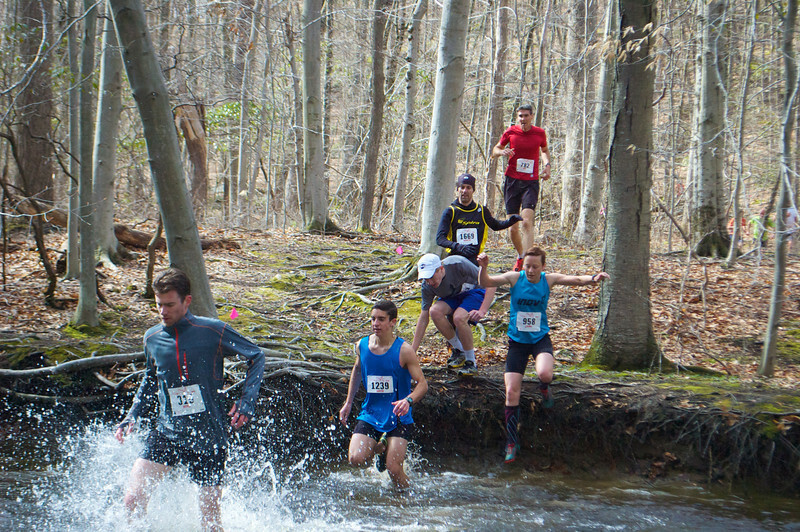 But I convinced myself it was only 10k… When I arrived at Ward Pound Ridge Reservation in Cross River, NY my first thought was that this place was beautiful! My excitement was building. The energy at the race site was buzzing – all positive, happy vibes – and it kept my nerves at bay. 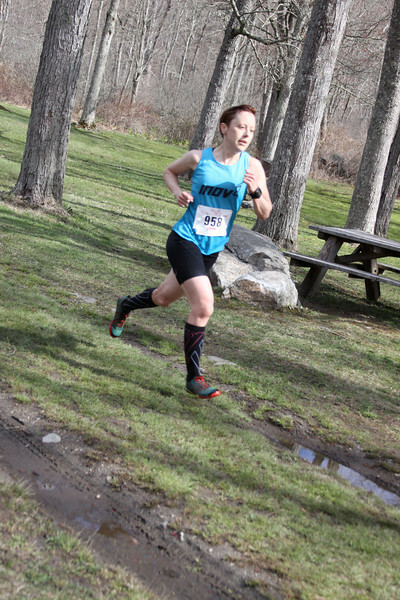 I had received a detailed description of the course and what it entailed, and I had been going back and forth for the past 12 hours trying to decide which shoes to wear. Having choices is a great thing, and having to make such a tough decision because I love both shoes so much isn’t a bad position to be in either 😉 My inov-8 Mudclaw 265’s would provide the best traction over the many mud flats/pits we encountered, and also help me to scale the sand hills. 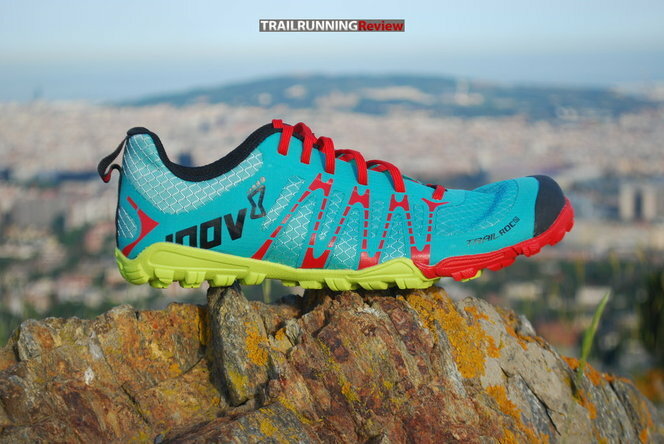 However my inov-8 Trailroc 150’s have awesome traction at a much lighter weight, which would allow me to really open up on the more “relaxed” terrain. Love them both so much, but I went with the Trailroc’s. Beauty before me as I run. Beauty behind me as I run. Beauty below me as I run. Beauty above me as I run. Beauty beside me as I run. Beauty within me as I run. I see Beauty all around. In beauty may we walk. In beauty may we see. In beauty may we all be. 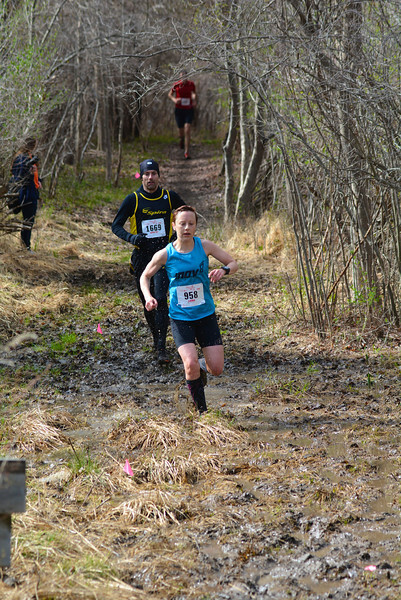 I was told that the 2nd half of the race was much easier than the first, so the plan was to try to keep it under control until I hit the 2nd sand hill climb (after going out too hard to get my lead of course), and then push to the end. There were some short steep climbs but also plenty of descents. 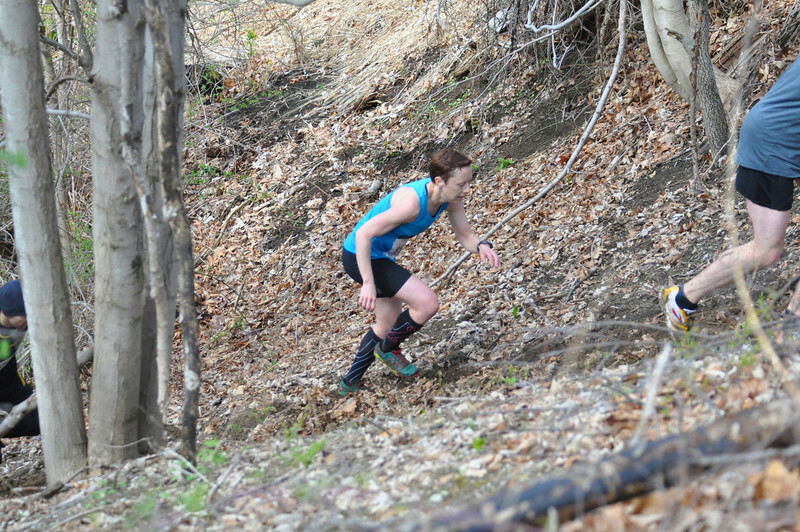 I was enjoying myself so much on this course that I was barely noticing the fatigue in my legs. Once I reached the top of the 2nd sand climb, I took a moment to look back to see if anyone was behind me. Coast was clear! At this point I was starting to feel very relaxed and was enjoying every second. I was about a 1/2 mile from the finish when I could hear the crowds cheering very loudly. As I approached the final water crossing, the splashdown, it was an awesome site to see so many spectators lined up along the climb out of the water. 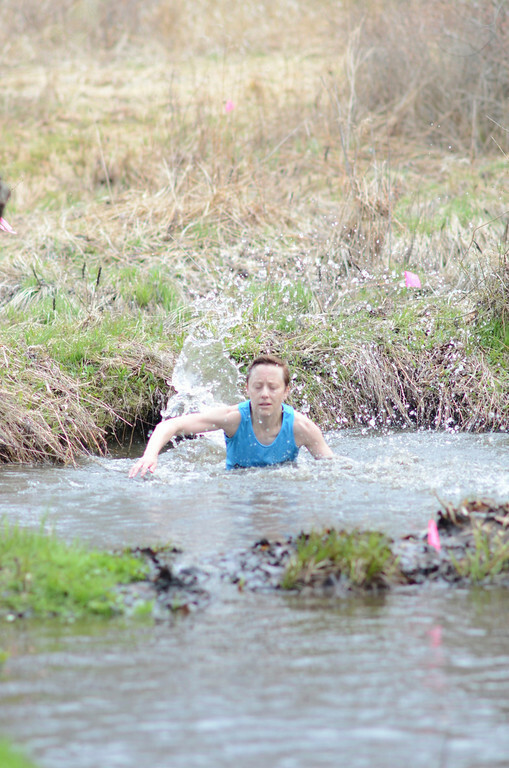 I jumped in, not at all expecting to sink down to where the water was shoulder height. And boy was it cold! I made my way across and started the climb to the finish, spectators surrounding me making all kinds of noise Tour de France style. 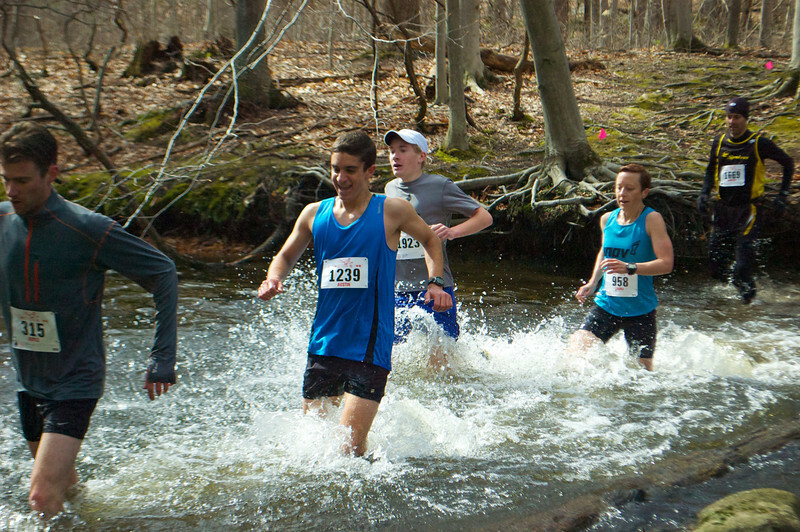 You hit the meadow and the finish line is in sight, but it’s also windy and your legs are feeling frozen after that ice bath. Crossing that finish line was bittersweet. Sure I was tired, but it was so much fun! I definitely plan to return to this race. 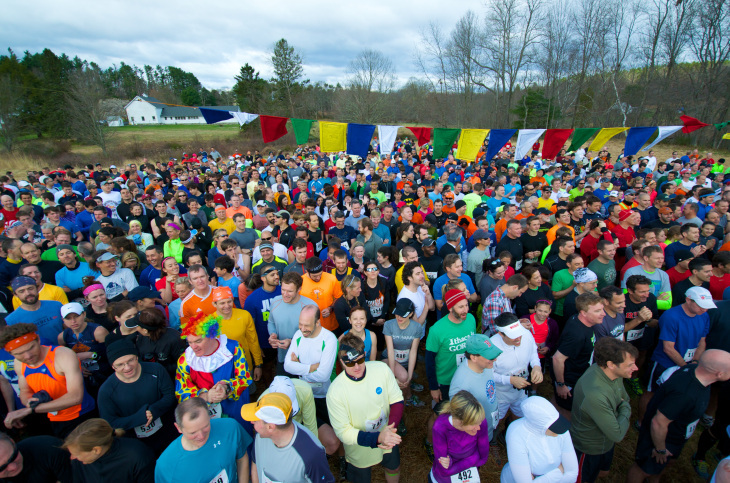 The land, the course, the race organization, the volunteers, the fellow runners – all made for a top-notch event! Awards were strudel, pies, and other local goodies. I got the motherload bag which contained a bottle of wine, 2 bundles of homemade pasta, a mega-jar of honey (looking for a good home), a Trader Joe’s dark chocolate bar, a jar of strawberry rhubarb jam, and curry cashews. BINGO! 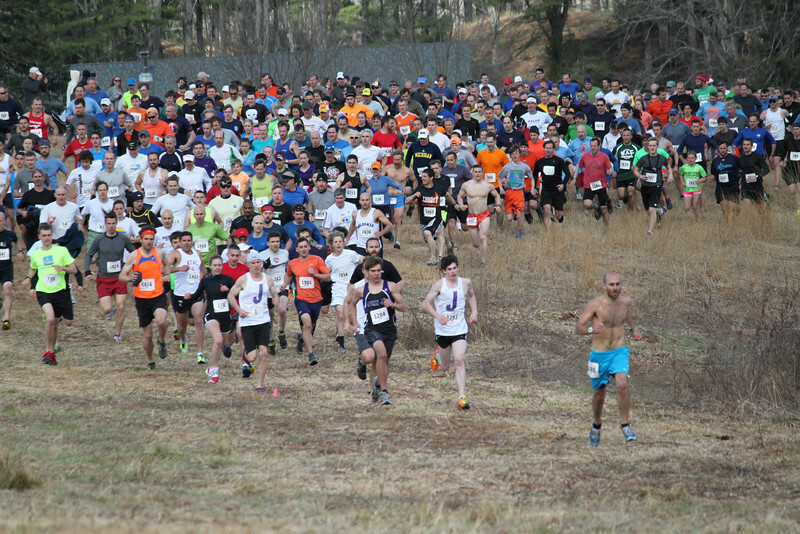 I you love running trails, I highly suggest you throw your name in the basket next year for the lottery registration. You won’t be disappointed! 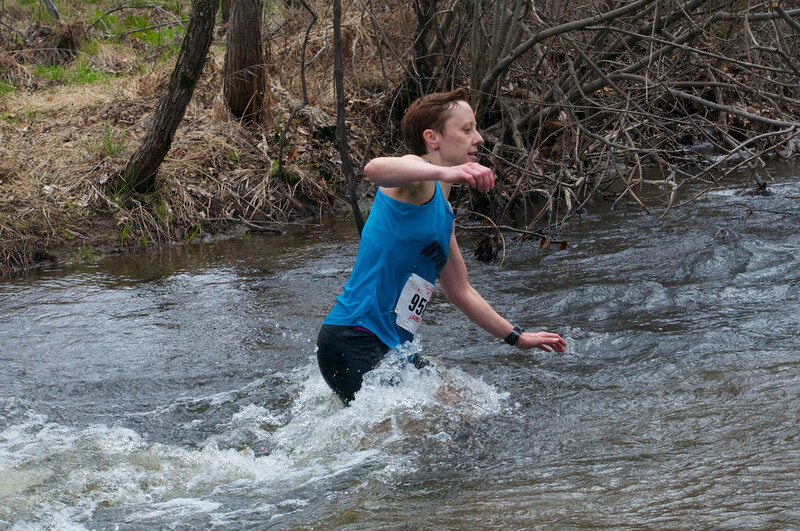 This entry was posted in inov-8, race, trail race, trail running and tagged 110%, inov-8, Leatherman's Loop, race, racing, trail racing, trail running, trailroc 150 by lljkline. Bookmark the permalink. Great awards – very cool!